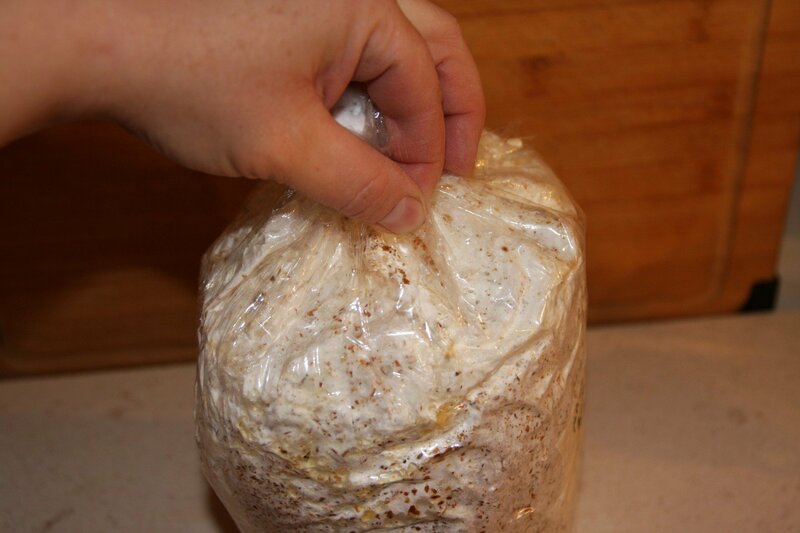 Has the mycelium started to grow primordia (tiny mushrooms) inside the bag? If yes, proceed immediately to step 2 (regardless of whether or not the sawdust is fully colonized). 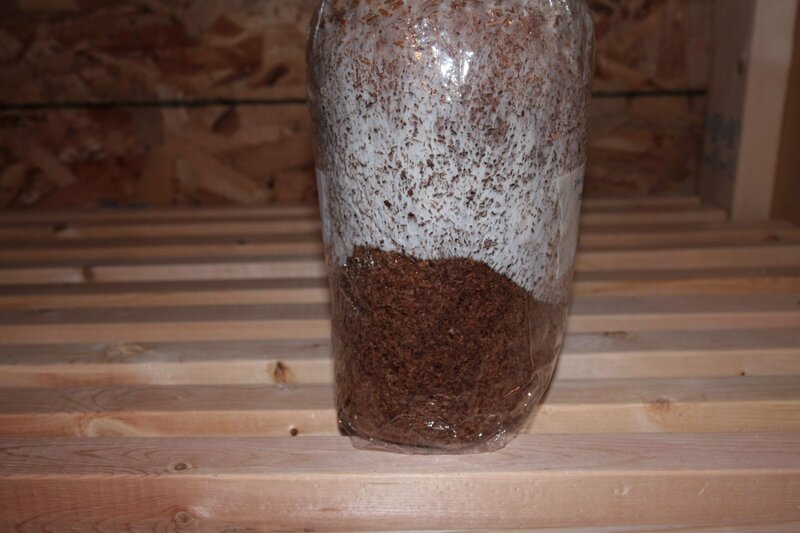 Has the mycelium fully colonized all of the sawdust? If not, put the bag in a dark place and check every couple of days until it’s fully colonized. 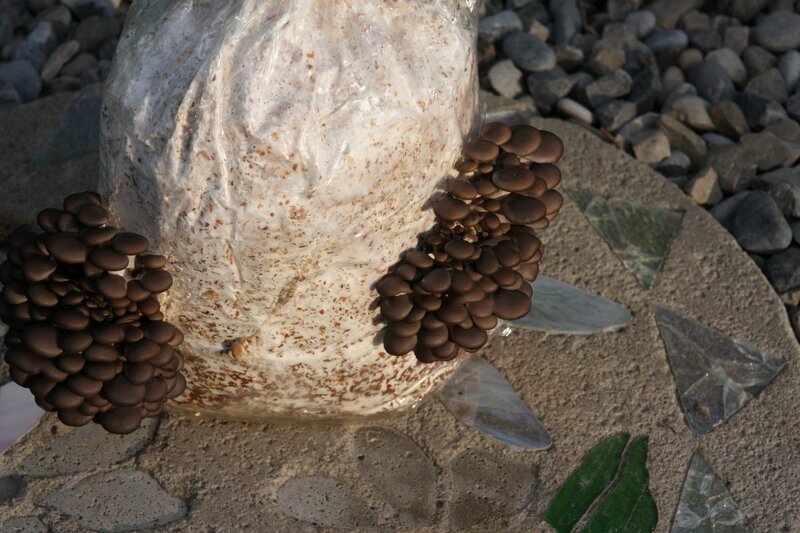 Mushrooms will begin to form in approximately 1 to 2 weeks. 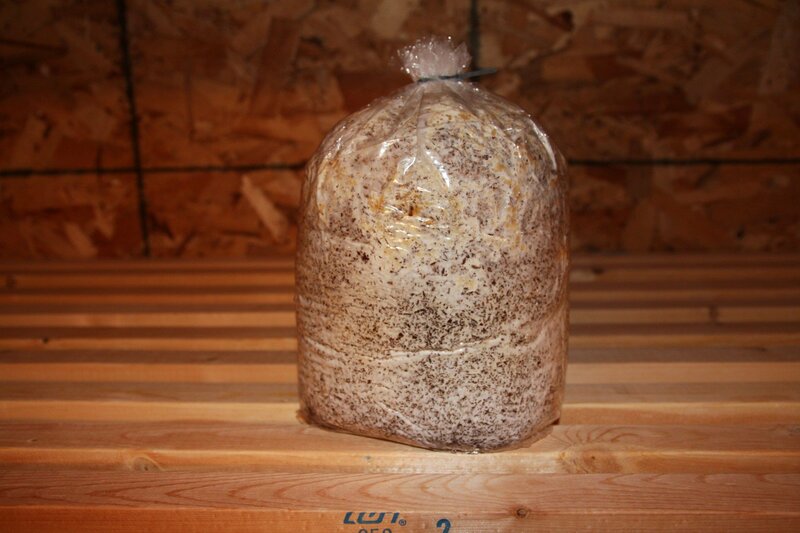 After harvesting, the mycelium will become dormant for a week or so. Let the mushroom kit rest in a dark place. Cover with plastic to ensure it doesn’t dry out. 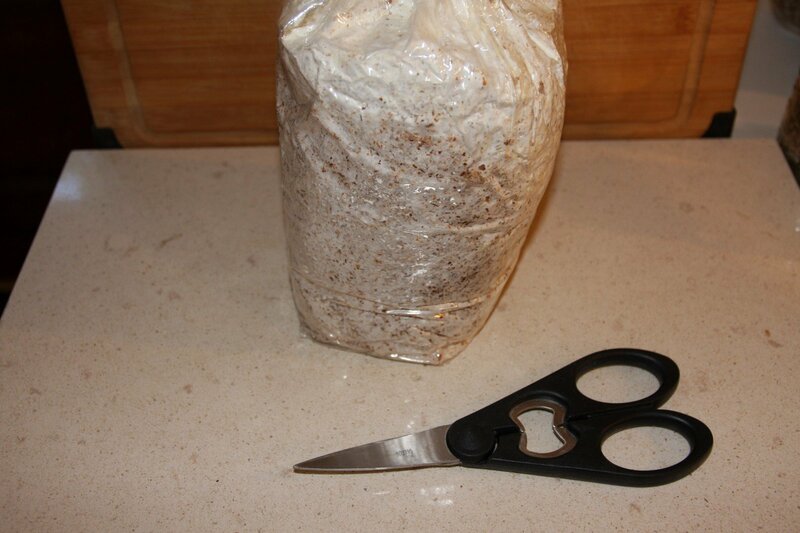 To encourage subsequent fruitings, wait one to two weeks, then submerge the entire bag in water for 2 to 3 hours. You will need to place a weight on it to completely submerge. Repeat the steps above. You should get 2 or 3 crops before the kit is exhausted. 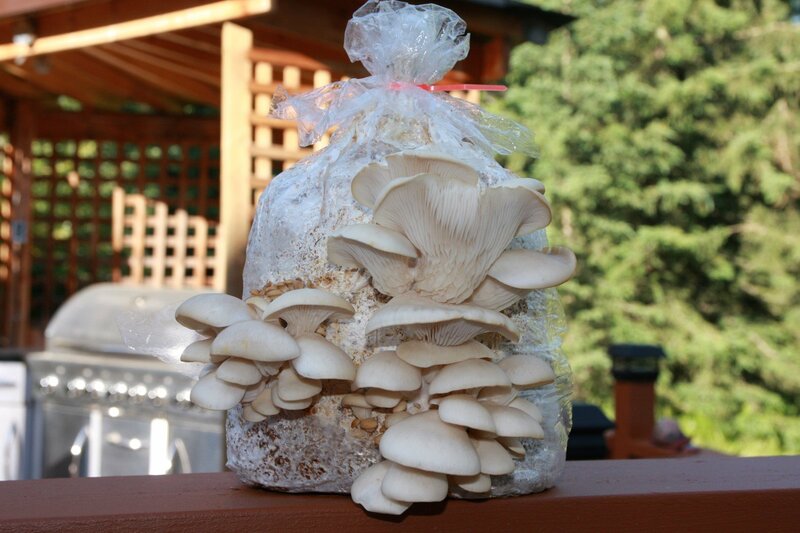 If you see mushrooms forming in areas not previously cut, make more slits in the bag.